Besides untagging yourself in those embarrassing photos! 1. Post your adventures on social media. Why post a #latergram when you can share photos of the BEST. NIGHT. EVER. instantly? 2. Send a message to that guy you exchanged numbers with. A simple "It was nice to meet you :)" will suffice. Just make sure you're sober enough to send it without typos! 3. Grab a proper meal. And no, those nachos you had with your drink don't count. Once you get home, call your favorite delivery guy and order that much-deserved pepperoni pizza. No regrets! 4. Invite your friends over for movie night. Not quite ready to end the evening? Have a movie marathon with your friends at home. Bring out the rom-coms, suspense thrillers, and horror flicks! Got a bathtub? Lucky you! Reap all the benefits a quick shower can't give by soaking in a nice, warm bath. Lather up to soothe sore muscles and keep your scented candles lit to enjoy the perfect home spa experience. 6. …and lastly, remove your makeup. It's late and you're tired, but you still can't go to bed without washing your face. Leaving your makeup on clogs your pores, which leads to skin irritation, or worse, a full-on breakout. 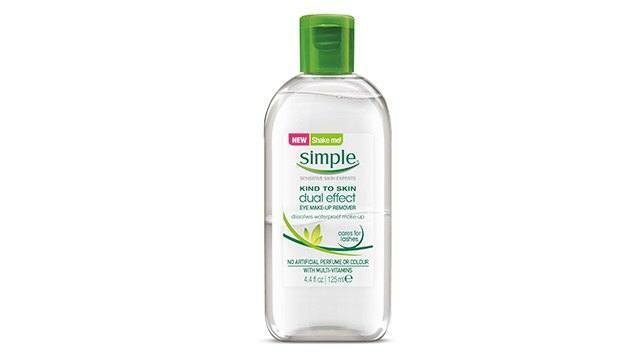 For stubborn eye makeup, try Simple Dual Effect Eye Makeup Remover. It effectively removes even stubborn mascara, while being gentle on skin—perfect for a relaxing beauty sleep right after your party!